The Three Rivers Market Deli has your next event covered! We offer an array of Deli Platters available year-round as well as your favorite Sandwiches and Grab-and-Go items. Whether you are looking for something snacky, substantial, or sweet we have a variety of choices. 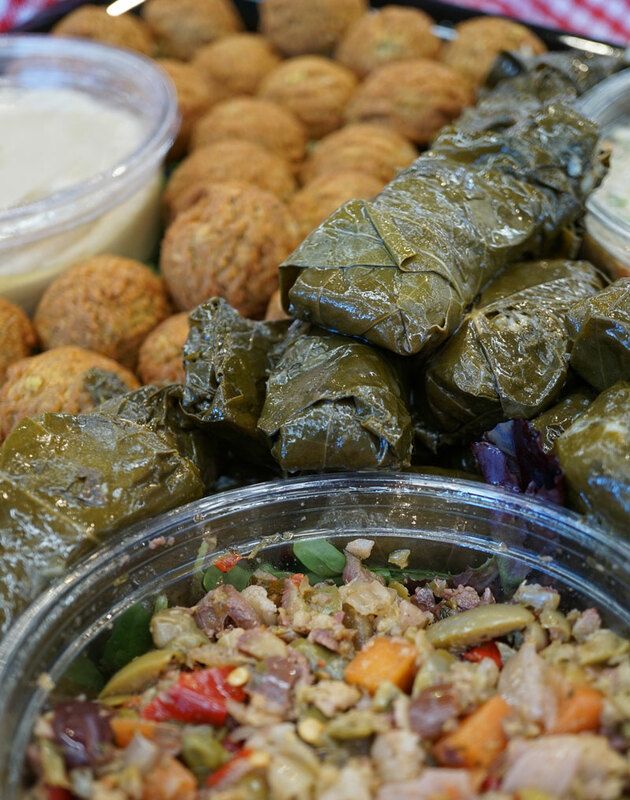 Our Deli uses the finest ingredients to achieve the freshest taste. Organic grains, beans, pasta, and nuts are used in Three Rivers Market’s deli recipes. Unless otherwise noted, all of the vegetables in deli-made dishes are organic as well. We use absolutely no artificial flavorings, preservatives or colors. All Three Rivers Market deli-made dishes are free of hydrogenated oils, artificial transfats, and high fructose corn syrup (HFCS). To ensure quality, deli items are freshly made using many local and seasonal ingredients. All ingredients subject to availability. Catering orders must be placed at least 48 hours before pickup. If you need it sooner, please ask! At times we may be able to accommodate special orders. To place an order, simply stop by Customer Service Desk or call the store (865) 525-2069. Everyone has their favorite grab and go items. These dishes are sold by the pound, so we can provide as much as you need. Minimum 5# order. Orders can be placed for any quantity of sandwiches, on platters or individually packaged. Just let us know what will work best for you! 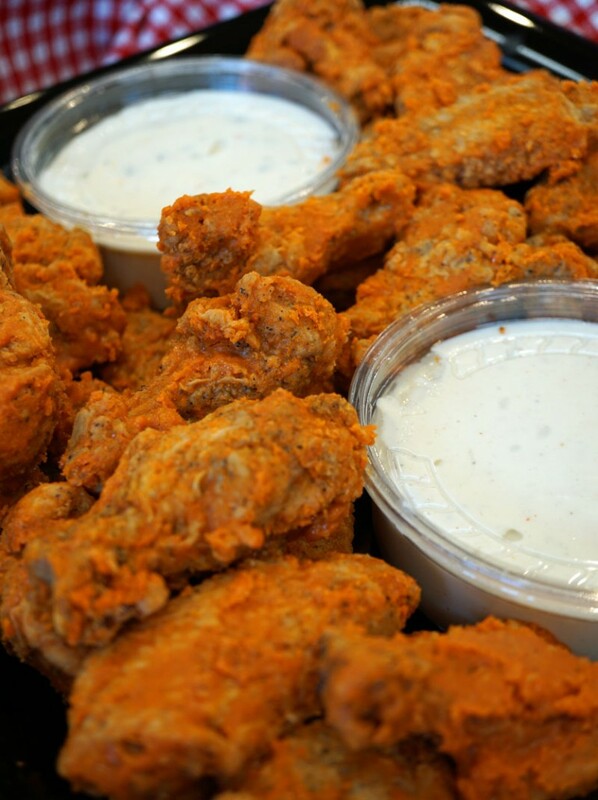 Three Rivers Market’s hot wings are made from local, antibiotic-free Springer Mountain Farm chicken wings. The perfect party portion includes Cindy’s all natural ranch and bleu cheese dressings for dipping. 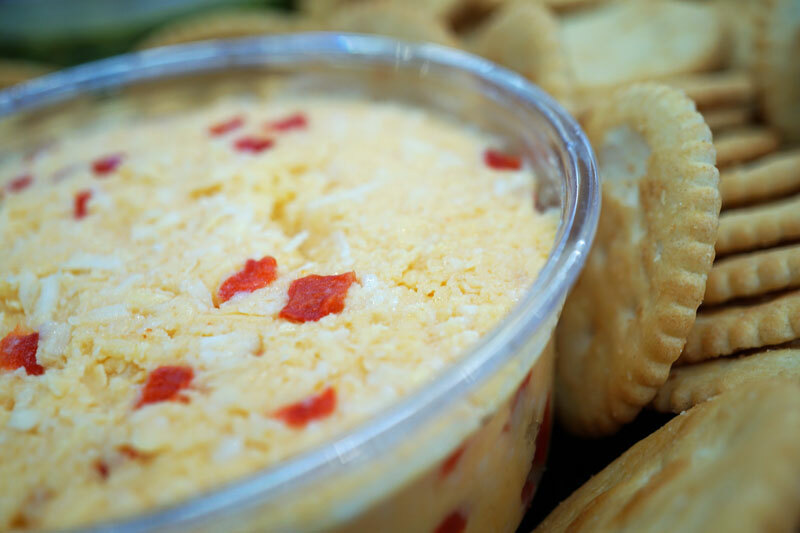 Features a quartet of house-made dips and spreads: creamy hummus, sweet potato hummus (made with local sweet potatoes when available), spinach artichoke dip, and the perennial favorite pimiento cheese, made with local Sweetwater Valley Farms cheddar. Includes buttery, organic classic round Field Day crackers and soft, local Flour Head Bakery pita. Features crisp, organic baby carrots, organic cherry tomatoes, fresh cut organic celery, and fresh cut broccoli florets with Cindy’s all natural ranch dressing for dipping delight. This variety of local Sweetwater Valley Farms Cheese is perfect for any event, featuring favorite cheddars like mild, garlic, pesto, buttermilk, and firey fiesta. Organic Field Day round crackers and water crackers are provided to accompany your cheese selection. For some international flair, this platter has selections for all, including: house-made falafel, made from organic chickpeas; creamy, house-made tahini; brightly flavored quinoa tabouli; Suneen brand vegetarian grape leaves; Divina muffalata olive mix; and local Flour Head Bakery pita.